It is with great joy that I come once again to greet you through this one, Shellee-Kim. Of course, we know her by a different name :-) But the names matter not in the face of who you all are and be, and what you have come here to do. It is time to begin your respective missions; to embrace the fullness of yourSelf that you may know what these missions of service are. For you have not come for nought, but for most specific purposes and reasons. We, of the Lighted realms, look on in anticipation of far more of you much more quickly arriving at the Truth of yourSelves now. This period creates the opening you have been looking for for so long. While some of you have been holding on by your shoestrings, others have felt the end of this incarnation for them was near. Yet others have sensed a deep testing within these sensations – and feelings you have had about yourselves, life, the world and God. You are not quite done. But moving into this next phase is a magnificent opportunity to far more easily heal of yourselves – for once and for all. We are of the Sisterhood, the sacred and holy Daughters of God. And we finally come to make our presence known upon the earth. This has been a very long time (of yours) in the making and for reasons known and unknown have produced the seemingly-ongoing delays you have experienced. But be that as it may, these are propitious times ahead, indeed. Running to the final wicket to proclaim this 'game over' is exactly where you all are right now. And it is for you, our beloveds on Earth, to proclaim it. As you continue to re-member yourSelves, this is precisely what will simultaneously happen. As the very mask of your little selves, your personas, fall to the ground – in a manner of speaking – so will you know the real you; the glorious Godly you. Once this is glimpsed by you, no longer will you be able to remain separate from yourSelves. God has ordained this and so it is. How wondrous are the times and opportunities in which you live on the Earth, beloveds. As has been stated previously, you are the envy of many onlookers from elsewhere across galaxies. For too long the ones who believe they control you and the fate of your beloved planet Earth have convinced themselves of many things. For one, that they would emerge the winners. Yet while they have quietly been tormenting you from behind the scenes, so intent were they on your destruction, that they didn't look behind them to see what was coming. They have seen it now. You could say they have seen the Light, though they like it not one bit. and they have realised they walked into their own booby trap. This is their outcome which is now at hand. From here on out the Light becomes ever more bright, along with your growing sense of yourSelf. This is your outcome. We wish you so very well and much success in the times ahead. You are being equipped to more than adequately handle what comes. And carrying much love to each one of you. We are great, experienced and wondrous souls. All of us – without exception. We came back from the future to this time-space on this beloved planet, Mama Earth. We came because each of our records and personal history had/has something unique to contribute to the planet, her people and to our own continued evolution on our respective journeys back to God. None of it was a mistake – cruel or otherwise. It was only the density of the experience each of us has had that could not be foreseen. Or rather, our reaction to it. For indeed, the vibrationary ‘sludge’ that has affected us in our physical experience has been paralysing for many Lightworkers. Combined with the forgetfullness…of who we are. 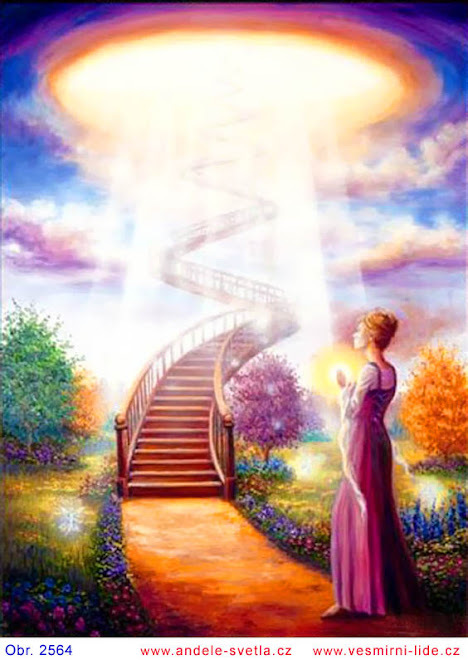 Though the successful outcome of this grande finale may well be known by all in the higher dimensions of Light(including your very own Selves), it was not seen that you – our prized brethren currently on the Earth – would NOT be able to overcome the density surrounding you with the purity and strength of your Light. Of course, this does not alter the outcome, but it has been a major reason for the repeated delays, as you perceive theM. This – being caught up in the vibrationary ‘sludge’ – and combined with the other factor in identifying with the ego more than you identify with your Higher/God Self has also been both cause and compounded the effects you have experienced on Earth. This is by no means to apportion blame. But rather, an answer that some/many of you may wish to have a little clarity on apropo delays. I used the word ‘sludge’ earlier. A very apt word it is, too. As for many of you, your walk upon the Earth has literally been like trying to move through sludge/mud much of the time. I speak here particularly of etheric/spiritual experiences which then filter down into the physical mind-body experience. Though there are a few who have been successful at freeing themselves that their walk is a Light-er one, by far the majority have not similarly been able to do so. More’s the pity. within you when you are ego-identified. These responses will begin to feel foreign, out of place; to you who would walk in God. You will be aware with a new level of objectivity and consciously choose to move back into the Truth of you…your Higher/God Self. This has already begun for many of you. Now you are to feel it with greater intensity as you move to more permanently claim back ALL THAT YOU ARE. I speak these words today to offer comfort to you all. It comes with my love. The game of not knowing who and what you are is at an end. Your minds and emotions will no longer lag behind your souls – and nor will your hearts. It is time to be all you came here to be. That time is now. Blessings be poured upon each of you as you spread your wings. This short sci-fi movie script is perfect for many of us. 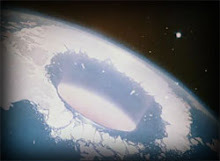 My only objection is the scriptwriter's outcome as being a negative one for earth. I said so in the comments on youtube.